Hedge funds did a lot of buying in late 2018. These are some of the stocks they bought. In late 2018, the stock market was in sell-off mode. Tech stocks were hit particularly hard. Concerns related to slowing growth, rising rates and tech regulation, among other things, significantly weighed on the valuations of high-flying tech stocks. By December 2018, many of the market’s favorite tech darlings were more than 20% off all-time highs. Hedge funds bought that dip. According to data on 50 hedge funds from Citi Research, a bunch of hedge fund managers turned bullish on tech stocks in late 2018, and bought tech stocks in bulk. It was a bold move that paid off. In early 2019, tech stocks have staged a huge comeback, with the NASDAQ-100 up 15% year-to-date. It’s only March. In other words, tech stocks have had one of their best starts to a calendar year in recent memory. Will this rally in tech stocks continue? Yes. There will inevitably be some turbulence going forward. But, the long-term uptrend in tech stocks will be preserved by healthy global economic fundamentals, robust consumer confidence, low rates, reasonable valuations and powerful secular tailwinds across the whole tech industry. Which tech stocks will lead this rally? To answer that, I think we should look at the five tech stocks that hedge funds had broad exposure to in late 2018. 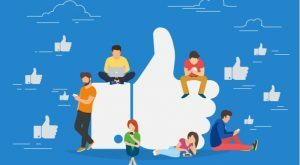 According to Citi Research, hedge funds grew exceptionally bullish on shares of Facebook (NASDAQ:FB) during the late 2018 selloff. In the third quarter of 2018, only six hedge funds owned Facebook stock. In the fourth quarter of 2018, that number grew to 15, making it the most owned hedge fund stock on Citi’s list. Why did hedge funds buy the dip? Because the existential data crisis that defined Facebook stock in 2018 was way overstated and plunged Facebook stock into deeply undervalued territory. Hedge fund managers recognized this, and further recognized that 2019 would be way better in terms of the numbers. As such, they bought the late 2018 dip in Facebook stock in bulk ahead of what they expected to be a 2019 rally. Good call. Year-to-date, Facebook stock is up more than 30%. This rally will continue. Facebook stock remains cheap, at just 23-times forward earnings for a company growing revenues at a steady 20%-plus rate. Margins will also turn around this year. Profit growth will come back into the picture. As it does, estimates will move higher. The multiple will expand. And Facebook stock will rise. According to Citi Research, hedge funds love shares of Microsoft (NASDAQ:MSFT). 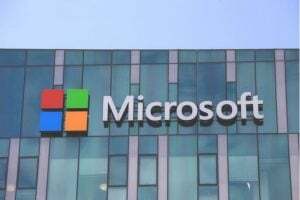 In the fourth quarter of 2018, it was the second most owned hedge fund stock on Citi’s list, with 14 hedge funds owning Microsoft stock. But, interestingly enough, hedge funds actually lessened exposure to Microsoft stock during the late 2018 selloff. In the third quarter of 2018, a whopping 21 hedge funds owned Microsoft stock. Hedge funds love Microsoft stock because it’s a pure play on the secular cloud revolution which is happening everywhere across the globe. There’s also a lot of stability behind this company, a long track record of success, a great CEO and a bunch of other non-cloud businesses that are progressing nicely, too. But, hedge funds grew less fond of Microsoft stock in the fourth quarter because of one thing: valuation. While other tech stocks dropped big in late 2018, Microsoft stock dropped by far less, making it relatively more expensive. Hedge fund managers recognized this and cut exposure to MSFT while increasing exposure to more beaten up tech stocks. Year-to-date, Microsoft stock is up more than 10%, so the hedge funds that held on are happy. They will continue to be happy so long as they maintain the buy-and-hold strategy with MSFT stock. This is a secular growth company powered by a red-hot cloud business that isn’t going to slow anytime soon, and the valuation on the stock (25 forward earnings) is reasonable considering cloud and AI-related upside. As such, so long as the financial markets are healthy, Microsoft stock should remain on an uptrend. 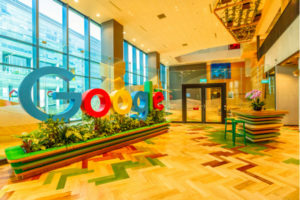 Much like Facebook, Alphabet (NASDAQ:GOOG, NASDAQ:GOOGL) was a popular hedge fund buy in late 2018. During the third quarter of 2018, only eight hedge funds on Citi’s list owned Alphabet stock. In the fourth quarter of 2018, that number rose to 13 hedge funds. Hedge funds bought the dip in GOOG stock for the same reasons they bought the dip in FB stock. In 2018, data privacy concerns related to Google’s advertising business were grossly overstated, and created an unnecessary amount of pressure on GOOG stock. Hedge funds recognized that Google’s advertising business was going to be just fine, and bought the valuation dip in GOOG stock. Just like with FB, the GOOG buy was a good call. Year-to-date, GOOG stock is up 15%. This rally will continue. The fundamentals here are still very good, supported by big growth digital ad, cloud and hardware businesses. Plus, the company has a bunch of unrealized upside potential in AI and self-driving, the sum of which could be a big needle-mover for this stock. Meanwhile, the valuation is favorable at just 25 forward earnings. 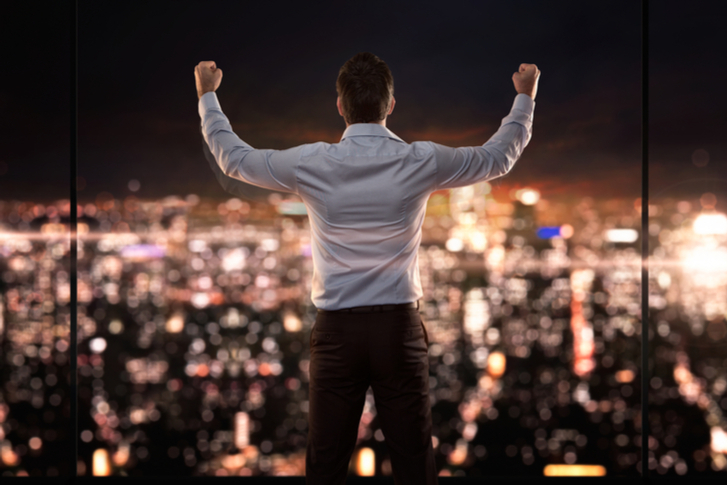 Thus, you have a healthy growth company trading at a reasonable valuation, a combination that will keep GOOG stock on a winning trajectory for the foreseeable future. 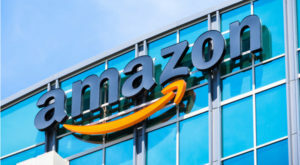 E-commerce and cloud giant Amazon (NASDAQ:AMZN) was another big tech stock that hedge funds bought the dip in during the late 2018 selloff. Heading into the selloff, only eight hedge funds on Citi’s list owned Amazon stock. By the end of 2018, 12 hedge funds on Citi’s list owned Amazon stock. Hedge funds grew bullish on Amazon stock in late 2018 because the stock overreacted to e-commerce slowdown concerns. Specifically, Amazon’s e-commerce business has been slowing for several quarters amid heightened retail competition. That slowdown became apparent in late 2018. Amazon stock dropped. But, it dropped without acknowledging that everything else at Amazon was firing on all cylinders. Hedge fund managers saw everything else and bought the e-commerce slowdown dip in Amazon stock. That was a good buy. Year-to-date, Amazon stock is up 12.5%. The reality here is that Amazon doesn’t need big e-commerce growth to power gains in Amazon stock. The company’s other businesses, including cloud and digital ads, are growing at a rapid rate. Those businesses also have very high margins, meaning that Amazon’s profits will actually grow tremendously over the next several quarters and years as revenues get a bigger contribution from higher-margin businesses. This profit growth will show up in the numbers this year. When it does, investors will rush back into Amazon stock, and the stock will head higher. 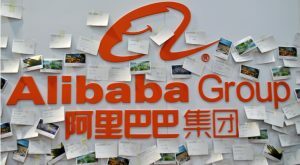 The fifth most commonly owned stock among the world’s largest hedge funds in the fourth quarter of 2018 was Alibaba (NYSE:BABA). Of the 50 hedge funds Citi tracks, nine of them owned Alibaba stock in late 2018. Interestingly, that’s up only one fund from the third quarter of 2018, despite BABA stock dropping further in the fourth quarter. Hedge funds didn’t want to quit on Alibaba stock in late 2018 because it was a big growth stock that was only getting cheaper. But, they also didn’t want to buy in bulk, either, because hedge fund managers knew that the one catalyst Alibaba stock needed to rebound (a U.S.-China trade war resolution) remained elusive. It is no longer elusive today. In 2019, trade talks between the U.S. and China have progressed at a promising rate, and the current consensus is that a resolution is not far away. As such, Alibaba stock has started its rebound. This rebound will continue. You have a 40%-plus revenue growth company with potentially stabilizing margins, in a still under-developed and rapidly growing Chinese digital economy. The stock trades at less than 35 forward earnings against that favorable backdrop. That multiple is pretty attractive for such robust growth exposure. As such, BABA stock should continue to attract buyers in 2019. As of this writing, Luke Lango was long FB, GOOG and AMZN. Article printed from InvestorPlace Media, https://investorplace.com/2019/03/5-stocks-hedge-funds-love/.